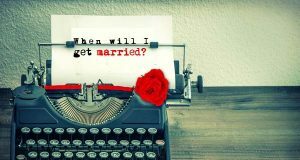 Some of the rarest people are asking this question when will I get married or about marriage date and year but now with fed up mind they are asking whether I will get married or not because it is already too late. I have written a lot of articles on marriage prediction but sometimes marriage date prediction becomes too much critical due to malefic planets. 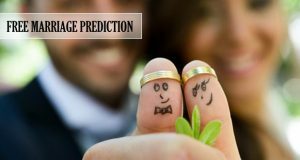 In the recent research of marriage date determination we have found some planetary positions useful for marriage date prediction. This is about the situation when marriage is not possible in the entire life span. I am going to share for your knowledge. 6, 7 and 8th houses known for different different purpose but these three play a vital role for marriage prediction. If these three houses has more than 2 malefic planets (Rahu, Saturn, Mars, Ketu and Sun) the marriage becomes a tough task of life. If lord of 7th house is in debilitated position and Jupiter / Venus are affected by any malefic planet. If 2 or more powerful planets are situated on 7th house. As many powerful planet will be on 7th house, chances will be high of remarriage. 7th house has no planet, 6 and 8th house has Mars, Saturn, Rahu. Means if 7th house is surrounded by malefic planets. In above planetary positions the marriage does not happen. The native lose the hope and remain unmarried doesn’t matter male or female but marriage becomes a dream only. By all means if you have such Yog (Planetary positions) in your horoscope do not worry. You can apply these remedies which are based on my own experience. People even in the age of 35-45 get married and living happily. 7th house of horoscope is known for 1st marriage. If you have critical planets on 7th house and if it is already too late for marriage do not worry. There is another house of marriage in horoscope which is 2nd house. If your first marriage is not happening do one thing. Get marry with an live plant with all rituals we do in a real marriage. In Hindus sometimes pandits perform the Kumbh Vivah which is like a real marriage but not with a human being but with an water pot. The only difference between real marriage and this marriage is you have to break the pot after marriage. This means your first marriage got break. Now if you do this remedy the 2nd house will be active in your horoscope. You should do this remedy only after the age of 35 this is the only term. I assure you this remedy will bless with you a hope of marriage. 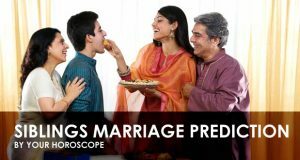 If it is hard for you to read your horoscope you can apply for paid marriage prediction to know about your marriage time with full detailed analysis. Click here to order your report.